Intimidating, isn't he? This stunning artwork inspired by The Empire Strikes Back and featuring Darth Vader presents Dark Lord of the Sith by artist Randy Martinez. It's an unframed limited edition of only 195 hand-numbered pieces that comes with a certificate of authenticity. 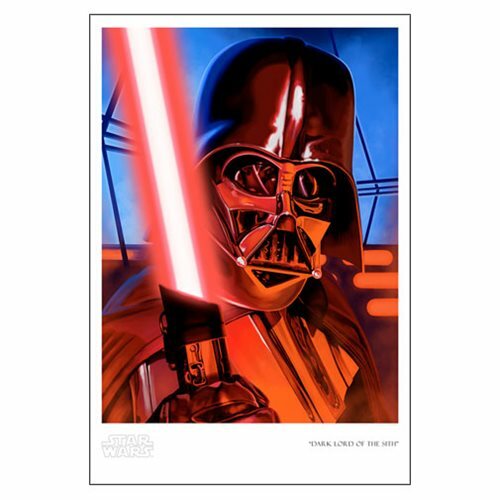 The Star Wars Dark Lord of the Sith by Randy Martinez Paper Giclee Art Print measures 19-inches tall x 13-inches wide, with an image size of 16-inches tall x 12-inches wide.